Founded in 1999, War Child Canada is an internationally recognized, award-winning charity, known for its outstanding support of war-affected children and their families in some of the most devastated regions of the world. War Child Canada provides opportunities and long-term solutions to war-affected children, focusing on education, strengthening children’s rights, reducing poverty and fostering self reliance. They currently provide support in countries including Afghanistan, Sudan (Darfur), Ethiopia, Sri Lanka and Georgia, with programs that benefit 100,000 children and their families annually. One of the most recent endeavours from the organization is the release of War Child 10, a retrospective of sorts that compiles selections from some of the previously released War Child benefit albums. The artists who have contributed tracks to prior War Child albums is a who’s who of the mainstream and alternative music business including Oasis, Wolfmother, Radiohead and Coldplay. War Child Canada CEO Lisa Zbitnew tells [here] Magazine that while the organization has some opportunity for growth in the US, Canada and the UK remain the best markets for supporting the War Child benefit records with more than a half-million dollars having been raised to date. Zbitnew became CEO of the organization this past February after having served more than a decade as the head of BMG Music Canada and Sony Music Canada. Since assuming her role, Zbitnew has had the opportunity to travel to Ethiopia and Sierra Leone to see first-hand the work resulting from the dollars raised by War Child Canada. “In Ethiopia, War Child helped create a program to support child-run households for kids who have lost their parents to AIDS. Many of these households we work with have four or five siblings who, without assistance, would normally have very little in the way of options available to them aside from prostitution or begging,” she says. “The program we helped to implement there has the two oldest siblings oversee their household and go through an accelerated learning plan while the youngest siblings go to school full-time. “In Sierra Leone, we helped to build a recording studio and computer lab, both of which ended up being significant contributions to their society. “Sierra Leone is the second poorest country in the world so when you think about our world and how it is affected by broadcasting, it is even more important in an environment like that to get word out to young people who might better relate to music than any other medium,” Zbitnew says. Zbitnew admits that visiting these countries instills a great sense of just how lucky we are to live in a country like Canada and ultimately serves to fuel the War Child fire even more so. “These trips to the countries where we are working end up being incredibly inspirational. The people in these countries have so much potential and even though they have to fight for everything like education and their families, they still have the commitment and passion to affect change in their countries. 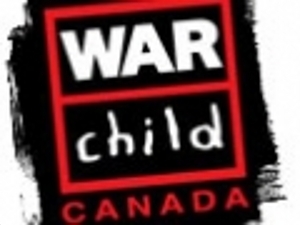 For more information about War Child Canada or to make a donation to the charity, visit their website at www.warchild.ca.